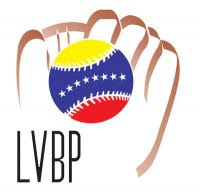 The Venezuelan Winter League begins play today. The regular season concludes on December 30 with playoffs beginning on January 2. The VWL All-Star Game will be played on December 13. Below is a list of Rays minor leaguers that have been named on opening day rosters for the VWL. As of this morning there were five teams that have not posted their roster, I will update the player list once their rosters have been posted. Also in Winter League news, the Mexican-Pacific League began play yesterday and there are no Rays players on any of the opening day rosters. The other sanctioned Winter Leagues have not started nor have rosters been officially posted. Opening day for these leagues are: Dominican Winter League (10/14), Australian Baseball League (11/3) and Puerto Rican League (11/4). Check back for rosters as their opening day approaches. The remainder of the VWL rosters have been published. Two more Rays players made the opening day rosters. St Pete Times was reporting that Chirinos had hurt (broken?) his wrist, I think.